Puree all ingredients with ½ cup olive oil in food processor until smooth, drizzling additional olive oil and water until creamy, and scraping sides of processor as needed. Puree until no chunks of nuts are visible, and the consistency resembles a thick soup. 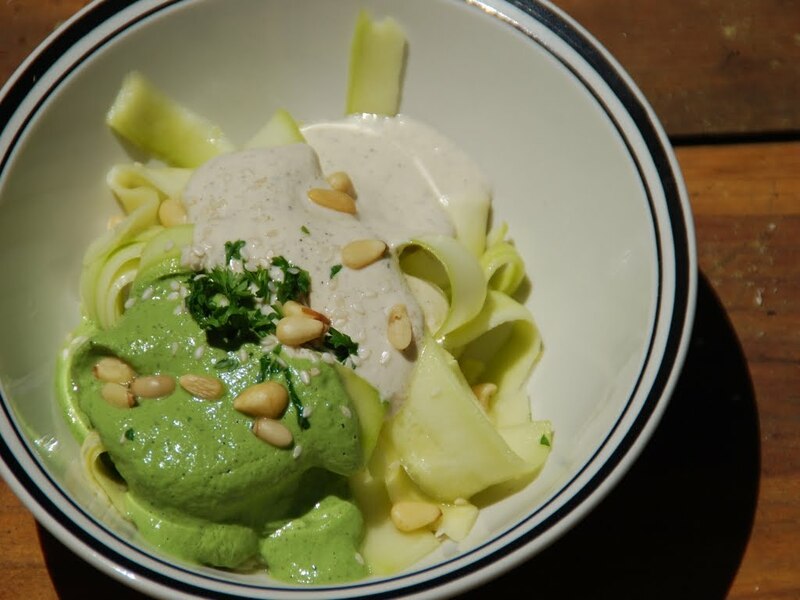 To create a second green sauce, set aside half of the white alfredo sauce and add basil, arugula, or spinach to the sauce remaining in the food processor and blend. All ingredients should be used fresh, raw and organic if possible. Quantities are approximate. Dehydrator temperature setting is 115 F.